Head out for a 2-wheeled adventure knowing you'll look cool and feel comfortable. 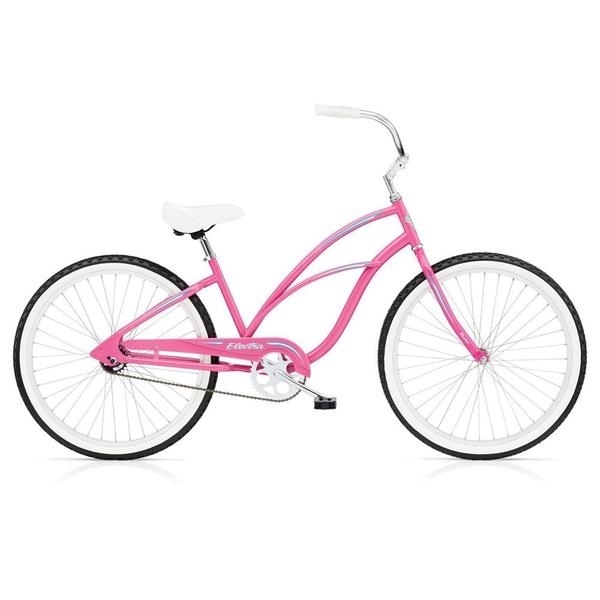 Great for cruising the boardwalk or a trip into town, the Electra Cruiser 1 has everything you need for a great ride. Innovative geometry places pedals fore of the seatpost. Rear coaster brake is both effective and intuitively simple. Other features include a single-speed drivetrain, comfortable wide saddle and 26” wheels. Color subject to change.